April 23, 2014, 2 p.m.
International conference “Topical issues on the objects of intellectual property turnover - under conditions of WTO and Customs Union” — is a platform uniting representatives of Russian State authorities, Eurasian economic commission, state bodies and authorities of CIS countries, international and Russian companies’ executives as well as specialists, directors of foreign economic activities, lawyers, social organizations and professional associations, investors, business owners, leading experts and analysts in the field of foreign economic activities and intellectual property. High status and professional competence of speakers and participants from Customs Union countries, European community, the USA, etc. Interactive format — possibility to personally take part in discussions, ask questions and receive practical help. 1. Unification and harmonization of the legislation in the field of intellectual property protection. 2. Problems of national legal systems interaction in WTO structure. 3. Problems of trade marks protection on the territory of Common economic space. Exhaustion of an entitlement. 4. Special aspects of initiating an administrative violation cases by the customs authorities due to the breach of intellectual property rights. 5. The role of international organizations in resolving disputes and intellectual property protection. 6. Analyses of different approach in judicial practice of Belorussia, Russia, Kazakhstan in the matter of protection of the rights of intellectual property objects. Speakers invited to the conference are representing Eurasian economic commission, judicial authorities of Russia, Belorussia and Kazakhstan, as well as Federal Customs service. 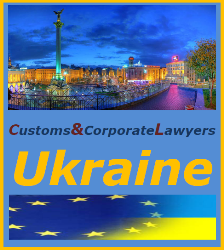 Representatives of Law firms international partnership network “Customs & Corporate Lawyers” - lawyers and advocates will also take part in the conference, who will talk about the practive of intellectual property protection in national jurisdictions.